Never having written about Yom Kippur before, I had some interesting reading ahead of me. 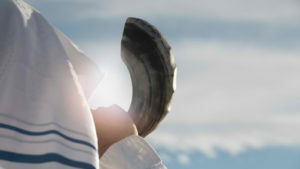 The Torah, in Parshas Acharei, describes the Kohen Gadol’s service on Yom Kippur. During the narrative, the Torah tells us that the Kohen Gadol achieved atonement for himself, and his family וכפר בעדו ובעד ביתו. Our sages look at the word ביתו-family, and teach us that from here we learn that the Kohen Gadol had to be married. If the Torah wanted to tell us that the word ביתו means wife, then why did it not say that he achieved atonement for himself and his wife, and we would not need the interpretation of the sages? The Kohen Gadol had to be married for two reasons. Firstly, because the עבודה-service of Yom Kippur was so special, that the Kohen who conducted it had not only to be a Kohen Gadol, but he had to be married. Being married conferred a certain added status in the Kohen Gadol. Secondly, in relation to the Kohen Gadol himself, he had to be in an elevated spiritual state, and the greatest level he could reach was to be married. In order to understand what the message is of ביתו זו אשתו, we will reference a discussion in Gemara Shabbos regarding Rebbi Yossi. He was an Amorah who always looked to see the purpose for which an object, thing, or person was created. As a result of being married, Rebbi Yossi saw his future family. The Torah does not require of us to always be on such a focused level but that was the greatness of Rebbi Yossi, and a requirement of the Kohen Gadol on Yom Kippur. The message of the mindset of the Kohen Gadol struck a strong chord in me. As educators, parents, really anyone who has contact with young people, this is a powerful lesson that we should carry with us always. Every child we encounter has endless potential, that may end up being tapped into or not. Every child is born with a huge measure of curiosity that could either be encouraged or supressed. Every child deserves to have his/her talents developed by the adults in their lives and not to have to seek it later in life. For all of the CyberSem newsletter readers, I think an awesome commitment to make at the start of 5778 is to be a more hopeful adult in the lives of the children we interact with. As I was writing this article, I read a fascinating story in My Encounter with the Rebbe, which I have included in this enewsletter. I think they are appropriately related. Wishing you all a very happy, healthy and successful new year. I am looking forward to engaging you even more on the CyberSem platform in the new year.